Item No. 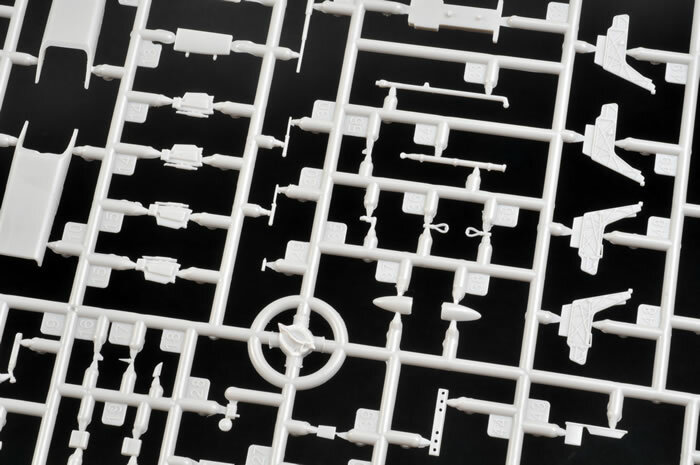 Kinetic Model Kits Item No. K48038 - T-45A/C Goshawk US Navy Training Wing 2, NAS Kingsville. 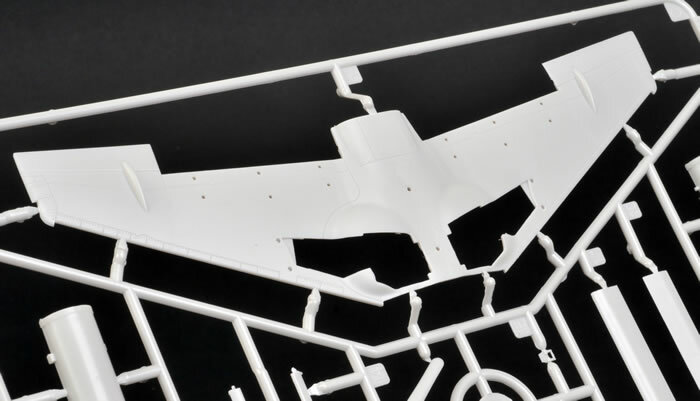 Contents and Media: 146 parts in light grey plastic; 9 parts in clear; markings for two aircraft. 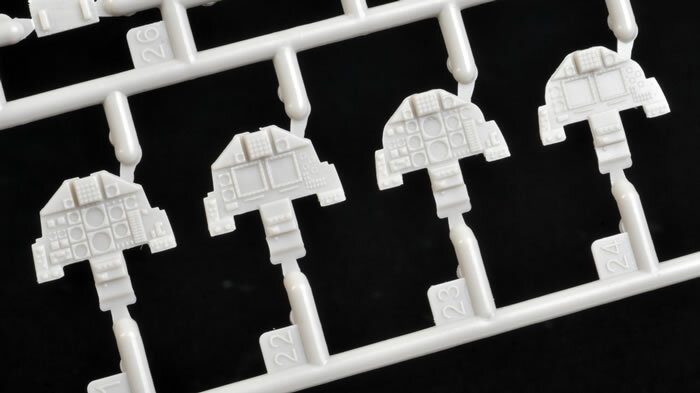 Advantages: High quality moulding; well detailed; finely recessed panel lines; parts for T-45A and T-45C; canopy and speed brakes may be posed open; straightforward parts breakdown; plenty of useful options; markings designed by Two Bobs and printed by Cartograf. 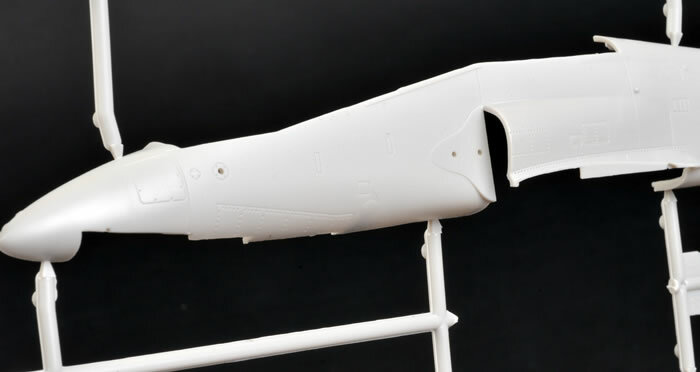 Kinetic's new 1/48 scale T-45A/C Goshawk looks to be an excellent model with surface features on par with their recent F-5A Freedom Fighter. 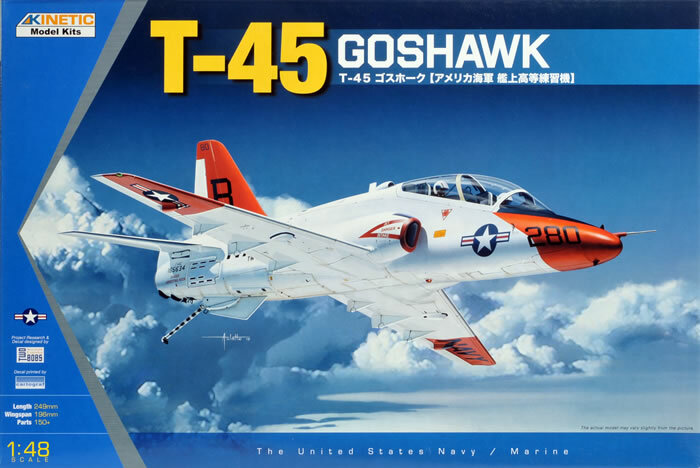 The T-45 Goshawk is a navalised advanced jet trainer designed for the US Navy and Marines. It is based on the airframe of the BAE Systems Hawk Mk.60. Modifications compared to the original Hawk include stengthened undercarriage and arrestor gear for carrier landings, airframe sealing against water and corrosion, and revised avionics. The first T-45A flew in 1988, entering service in 1992. The type received an upgrade from the 84th production aircraft with the fitting of a glass digital cockpit. This new variant is the T-45C. Although the T-45 is not fitted with built-in weapons, it is capable of carrying external training weapons, fuel tanks and an under-fuselage pod. More than 200 T-45 A and C Goshawks are currently in service with the US Navy and Marines. 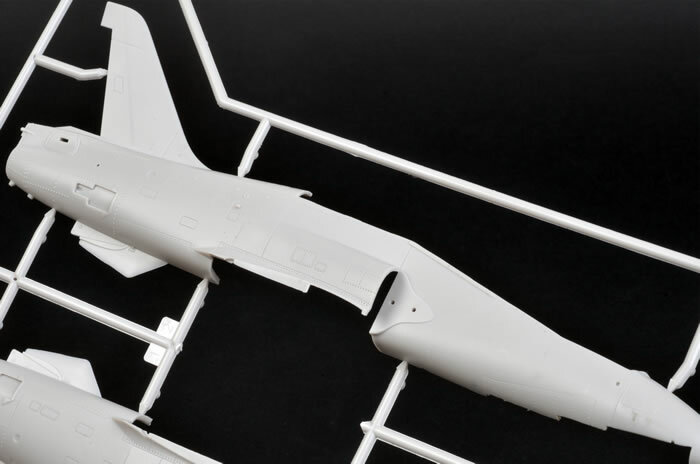 Kinetic has expanded its growing range of Cold War and modern US military aircraft with this latest release, the 1/48 scale T-45A/C Goshawk. 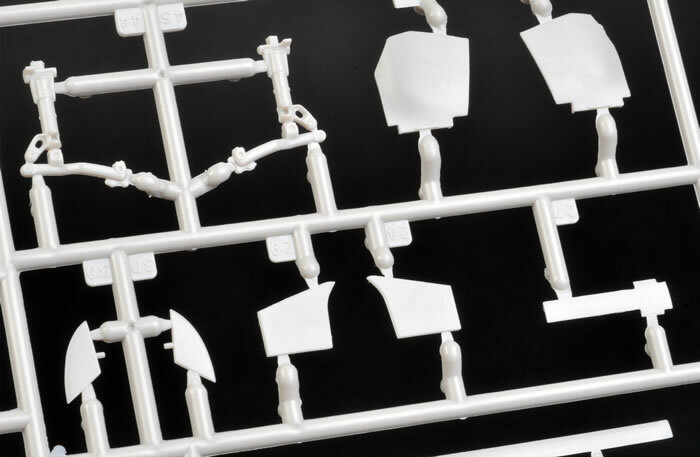 The kit comprises 146 parts in light grey plastic; nine parts in clearand markings for two aircraft - one Marines and one Navy. 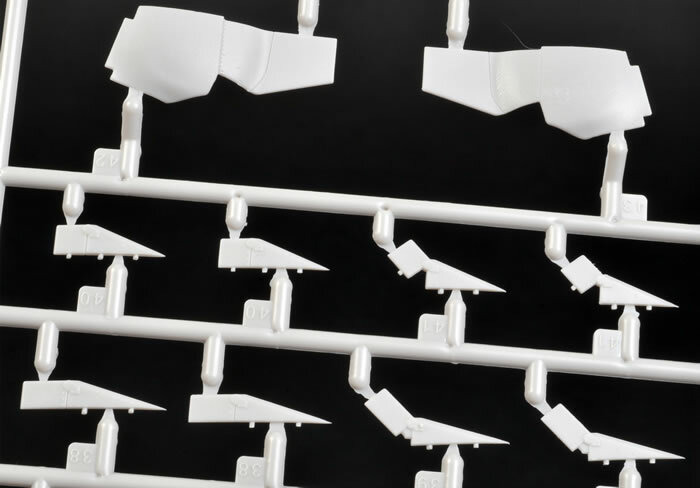 Kinetic's 1/48 scale T-45 Goshawk features crisp, consistent panel detail and selected rows of rivets, these being raised on the tail area. These are all very subtle and on par with their recent F-5A Freedom Fighter. 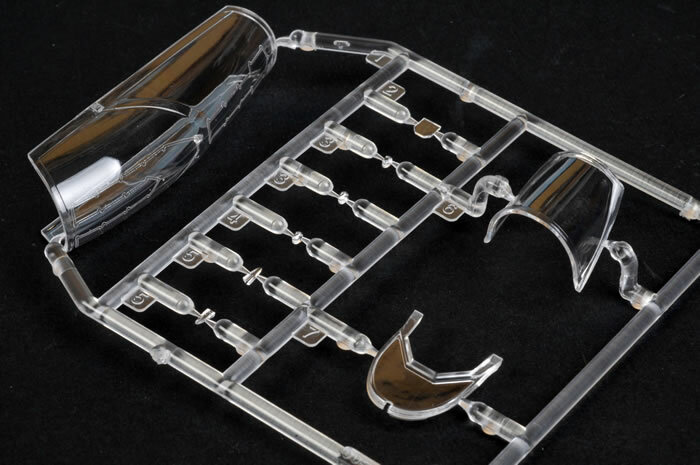 The sprue attachment pints are also quite fine, so removal and cleanup of parts should not present any problems. Cockpit detail is good, but no harness straps are supplied for the seat. However, it has been Kinetic's habit to release color photo-etched frets shortly after a kit's release. This will spruce up the front office for super-detailers, and will likely include harness straps, side consoles and a replacement instrument panel. Parts are supplied to depict either the original T-45A or the digital cockpit of the T-45C. 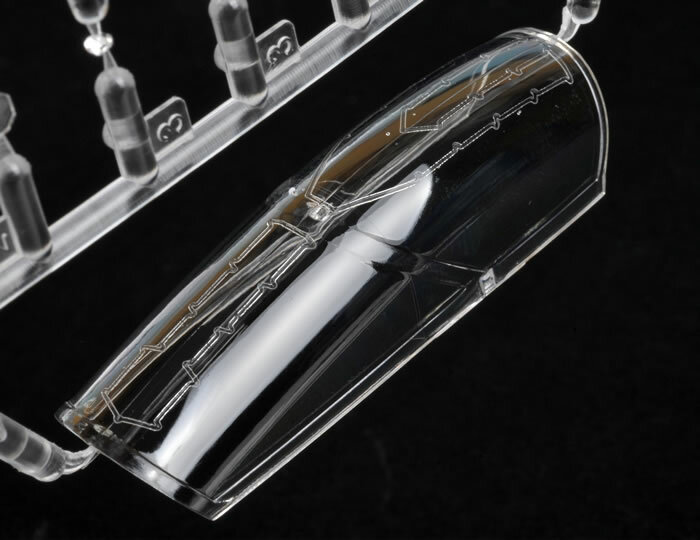 The large clear canopy features detonation cord moulded into the top of the part. The kit features full length intakes and exhaust. 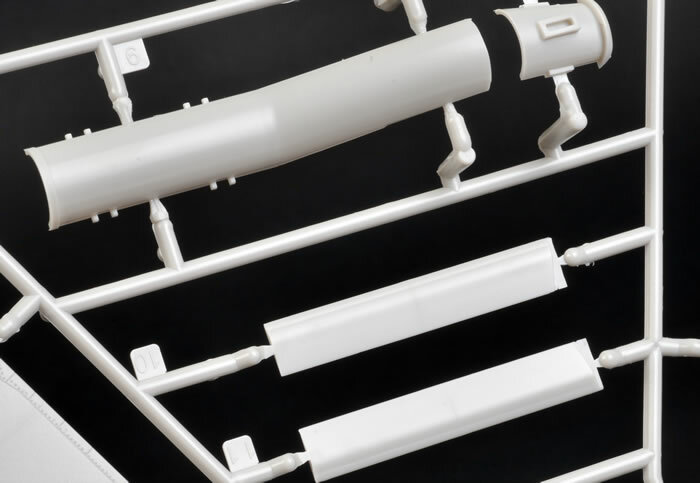 Parts breakdown is conventional, so construction should be very straightforward. The wings feature a full span lower wing with large integrated wheel well ceilings that should assist with correct location and dihedral. The flaps and slats are all separate, and alternative mounts/actuators are supplied depending on whether you plan to pose the flaps either up or down. The rudder is separate too. 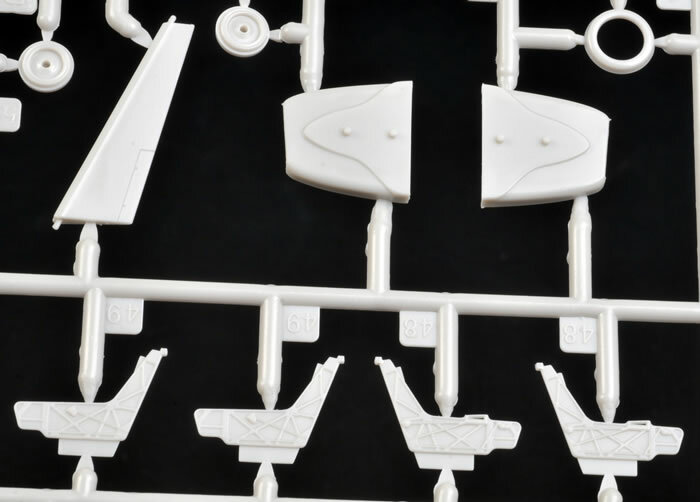 Additional useful options include cockpit parts for the T-45A or glass-instrument T-45C, poseable canopy and speed brakes, and the ability to display the undercarriage up or down. 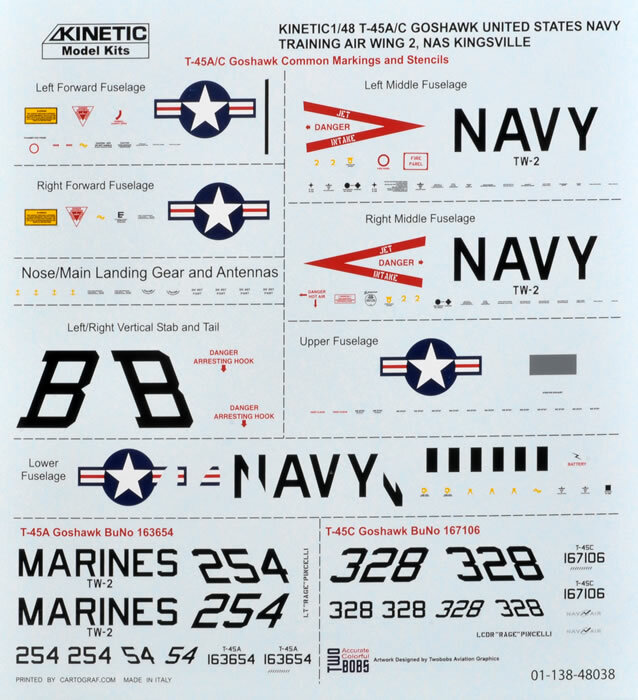 Markings are supplied for one Navy and one Marines T-45 from Training Wing 2, NAS Kingsville. Both are finished in the almost universal white and high visibility red trainer colours. The decals are perfectly printed by Cartograf. Colours and dimensions look great. 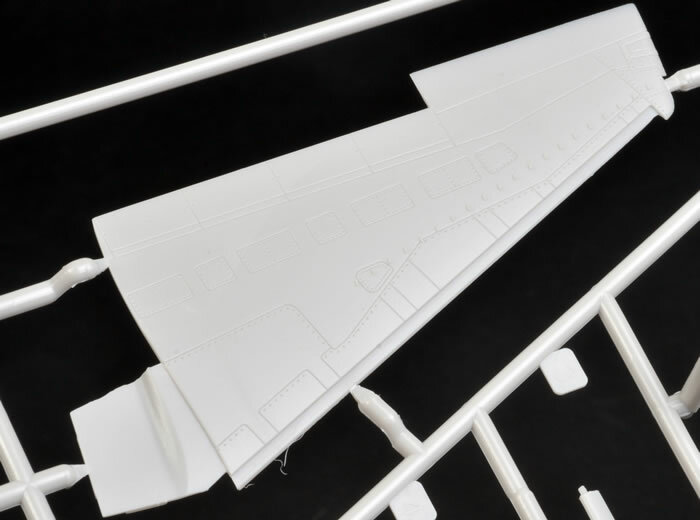 The only tiny issue is that the upper and lower wing markings are labelled as Upper Fuselage and Lower Fuselage on the sheet itself. Artwork was designed by Two Bobs Aviation Graphics. Kinetic's new 1/48 scale T-45A/C Goshawk looks to be an excellent model with surface features on par with their recent F-5A Freedom Fighter. 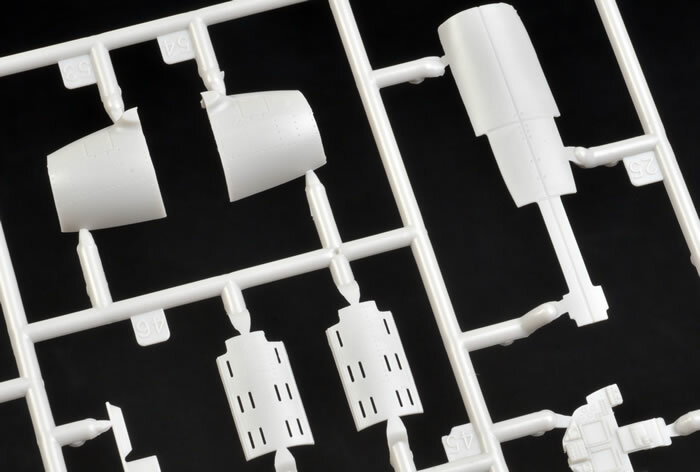 As the first mainstream T-45 in 1/48 scale, the kit will be warmly welcomed by US Navy, Marines and training aircraft fans. Considering Kinetic is about to release a 1/32 scale 100 series Hawk, I wonder if they also have plans to expand their 1/48 scale Hawk family? That would be interesting!